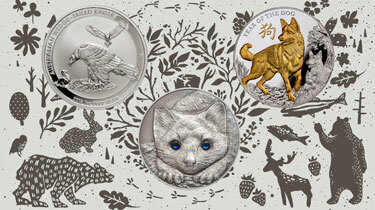 Celebrating the Tenth Anniversary of this Stunning Series – in 99.9% Antiqued Silver! Animals can capture the imaginations of people young and old, and the sable is no different. While the animal may look like a friendly family pet, they are omnivores that often feast on small mammals, such as hares. 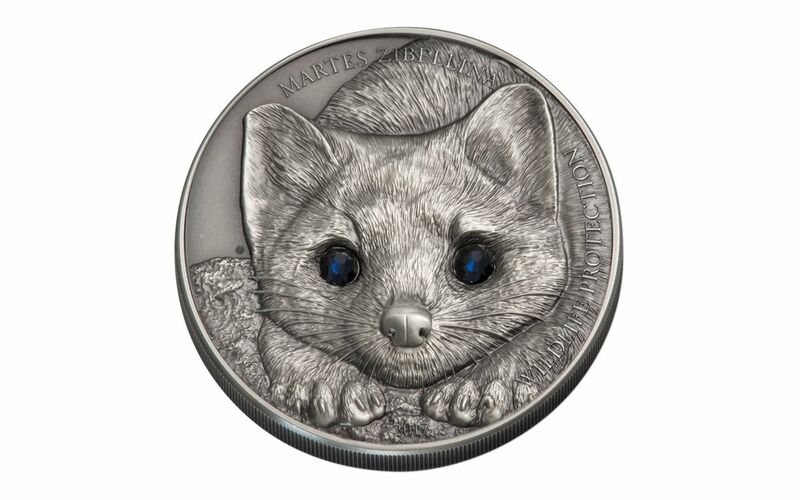 Swarovski crystals that are integrated into this coin’s designs as the creature’s eyes make this intriguing member of the weasel family to life. As with other Mongolian coins, this one features the logo of the Bank of Mongolia on the obverse. It is flanked by Mongolian inscriptions, while other inscriptions offer the coin’s face value, country, weight, and purity. Smartminting© Technology – Brings out each and every detail of the creature’s face. 99.9% Pure Silver with Antique Finish – A finish that complements the design perfectly! Eighth Issue in the Series – A perfect way to start or grow a Wildlife Protection collection. 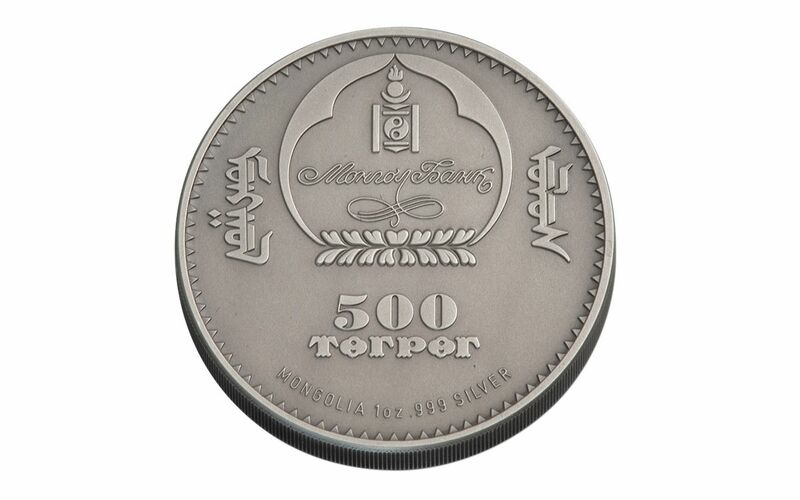 Five Hundred Togrog Legal Tender for Mongolia struck at the famous Mayer Mint, which handles coin production for several countries. Sapphire Blue Swarovski crystals – Integrated into the design to make the sable seem even more real. Low Mintage – This stunning coin is part of a mintage of just 2,500 pieces. 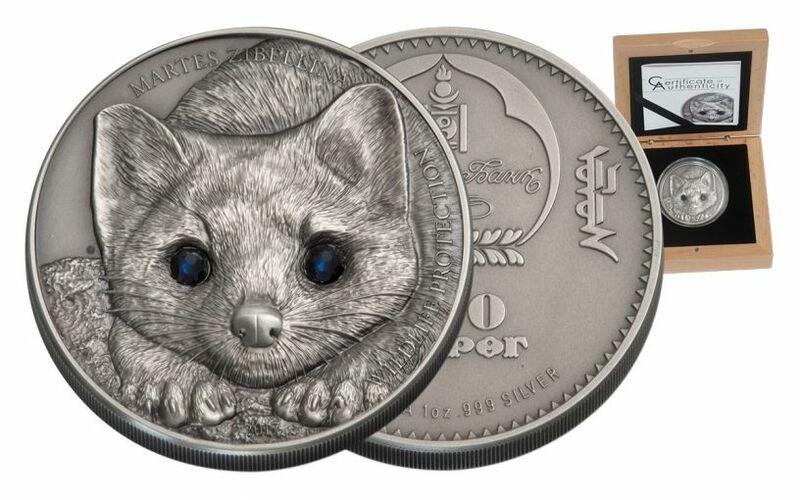 There is no shortage of animal-themed coins ranging from the cute to the ferocious, and this Sable is way over on the cuddly side of that scale, at least in terms of appearance. The sable is the type of animal that most Westerners would only see in a zoo, but now they have the chance to see one on a coin! Best of all, the Swarovski crystals serve to bring this creature to life. 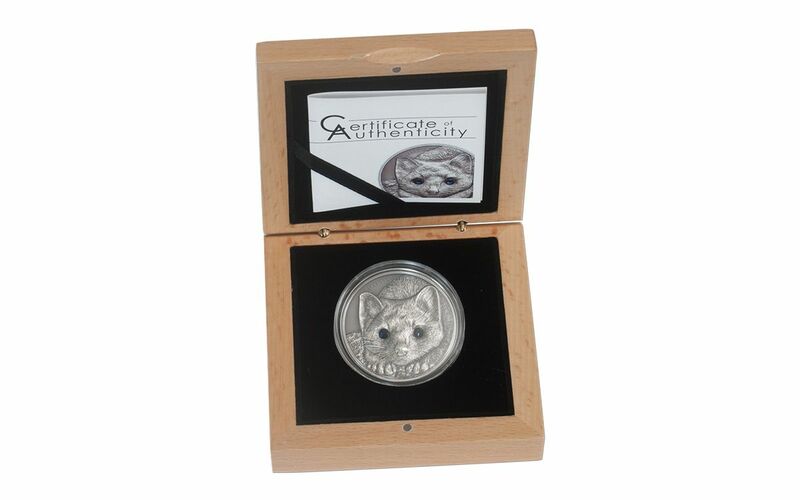 With a stunning combination of an adorable animal and stunning crystal elements, this coin would enhance any collection. Order yours today!